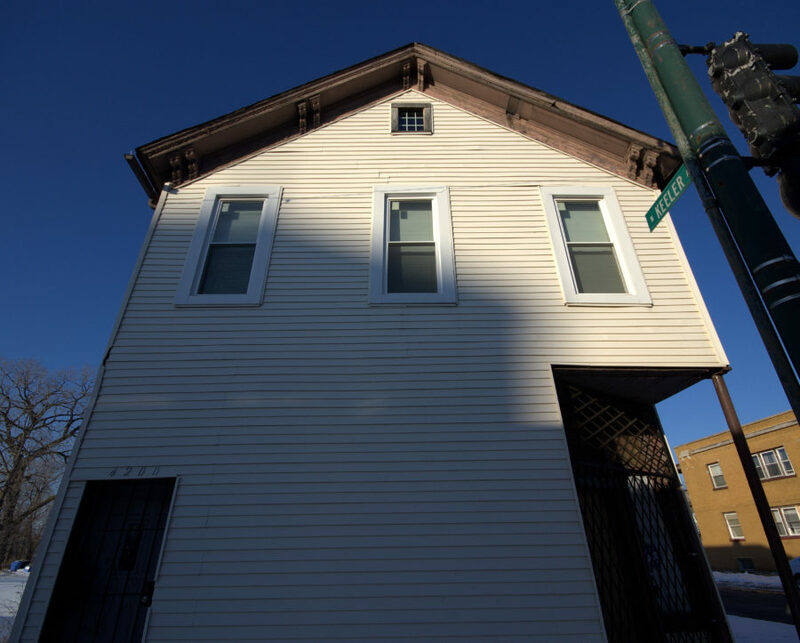 Built in 1883, the two-story frame building at 4200 West Lake Street has undergone several transformations, just like the surrounding West Garfield Park community area. 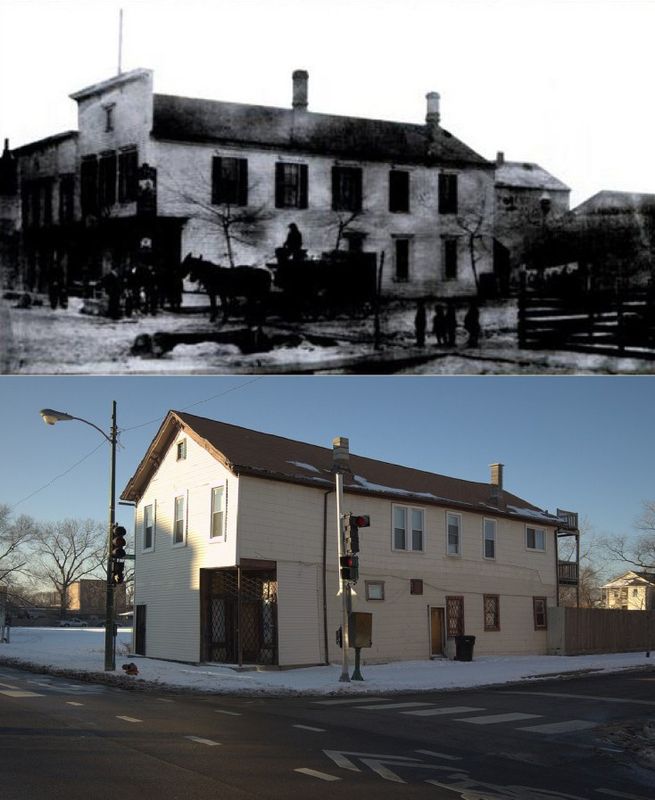 Pre-dating the Lake Street Elevated Railroad (now the CTA Green Line Lake Branch), it originally served as a “tied house” or tavern controlled by the Milwaukee-based Best Beer Brewing Company. Best Beer was hugely popular with German and Irish settlers in this working-class neighborhood, according to Lost German Chicago by Arcadia Publishing. 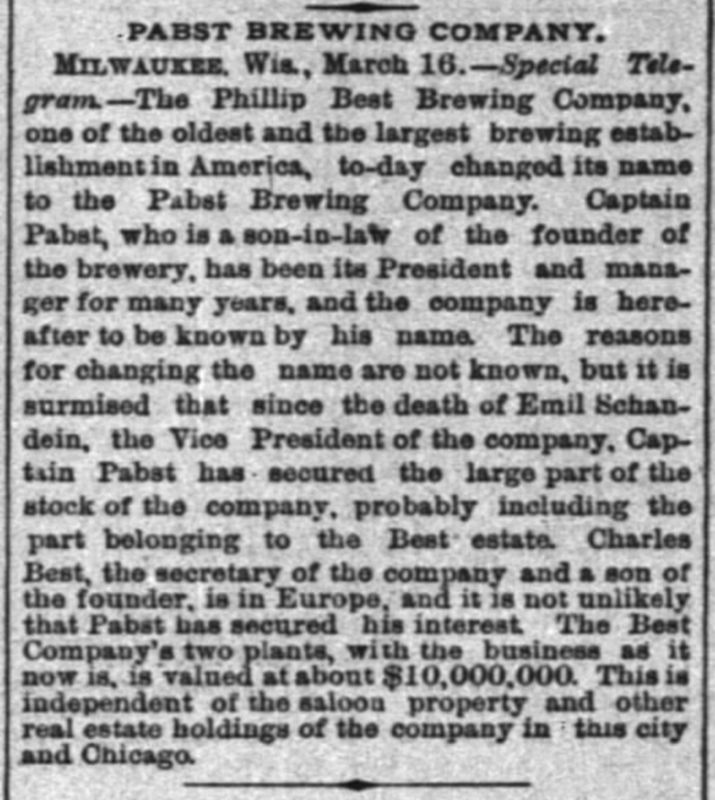 Best Beer would later become Pabst Brewing Company, as described in the 1889 Inter Ocean newspaper above. 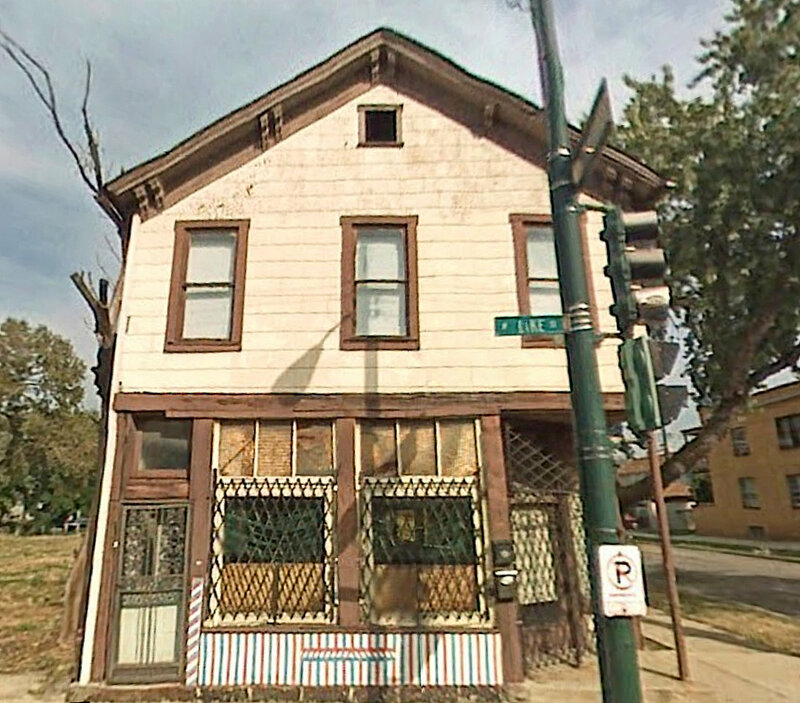 4200 West Lake Street appears to have functioned as various retail/storefront-type businesses through the past century, most recently as a barber shop as seen in the 2007 image below from Google Street View. The building’s second story has consistently served as residential unit(s). Sometime in the past few years, the front facade was renovated to remove the storefront windows, and replace the old siding and second-story windows, as depicted in the top photograph from January 2015. 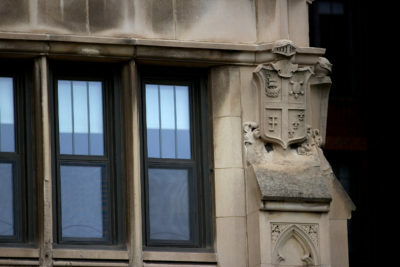 A few elements from the original design exist, such as the faded Italianate double bracketing on the front eave, twin chimneys on the eastern side of the roof, and the corner entrance configuration with cast-iron support post. 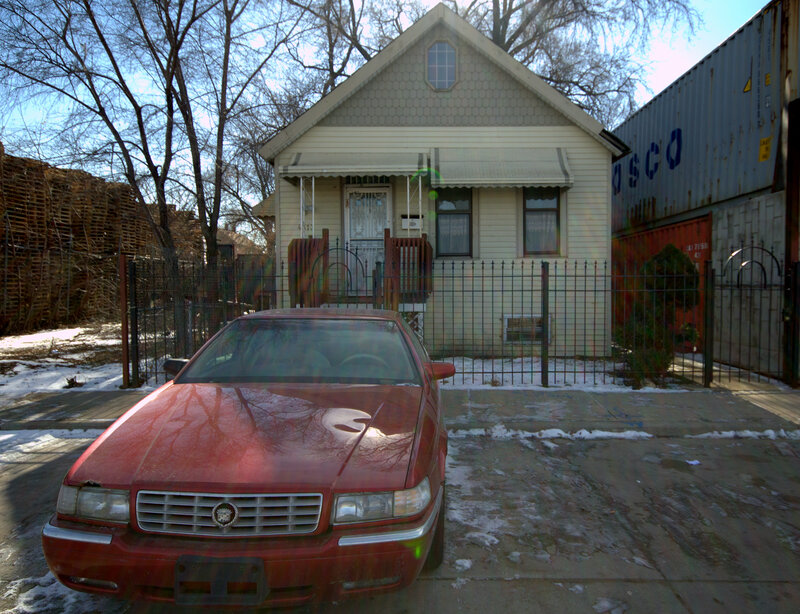 This narrow enclave within West Garfield Park north of Lake Street developed rapidly in the 1870s when railroad workshops were established to the north along Kinzie Street near Keeler Avenue. 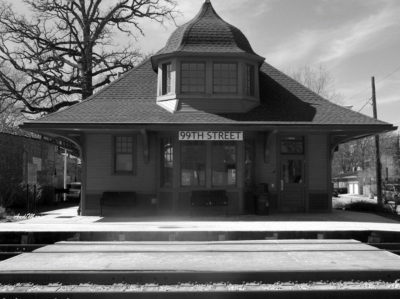 At that time the community was known as “Central Park” in relation to the park established in 1869 a few blocks to the east. 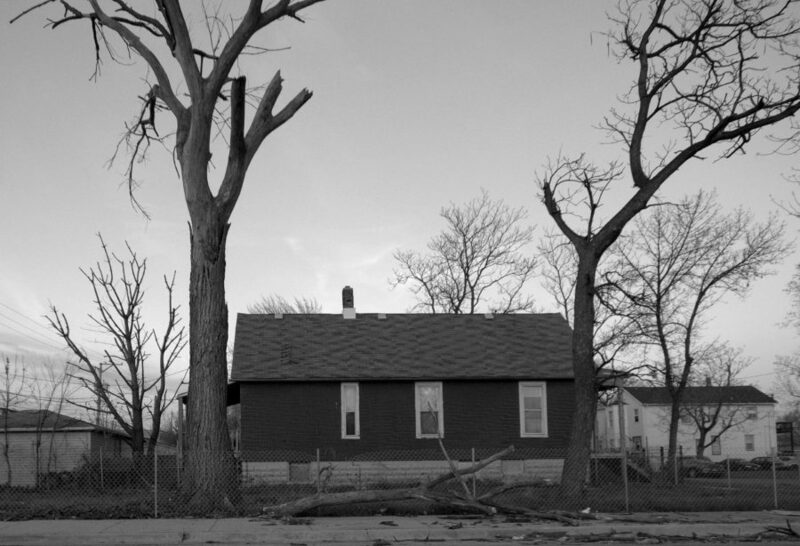 Recent immigrants to Chicago were looking for open space outside of downtown to build their homes, and the establishment of Garfield Park helped spur new residential development west of 40th Avenue (now Pulaski Road). Many area lots sit vacant now but a handful of 1-1/2 story worker’s cottages from the era still exist, such as the one above at 4256 West Carroll Avenue, built 1877. The image below shows another at 4313 West Kinzie Street, built 1879, one of only two residential buildings remaining on industrial Kinzie Street from Pulaski Road to Kenton Avenue. I’m not sure if I’ll get it but I’m trying to buy the 4200 lake st. Building. 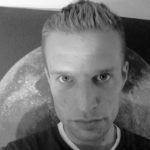 It was great to stumble across your article.